Capable of taking 20 x 2/1 or 40 x 1/1 gastronorm trays on 20 grids, it offers the large volume catering operation. The CPC oven is a fully automatic & intelligent cooking machine that will save time and labour, an oven that can work unsupervised, You can also retain full control of the entire cooking process. 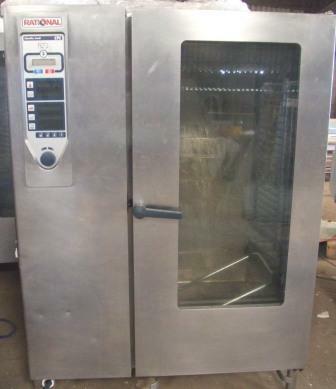 The CPC has the Combi Steamer Mode; you can then define the cooking method, temperature, humidity and time using the same controls as a manual oven. It has a rack that can be removed from the oven and wheeled around the kitchen. 3 Phase 65kw Power supply required.